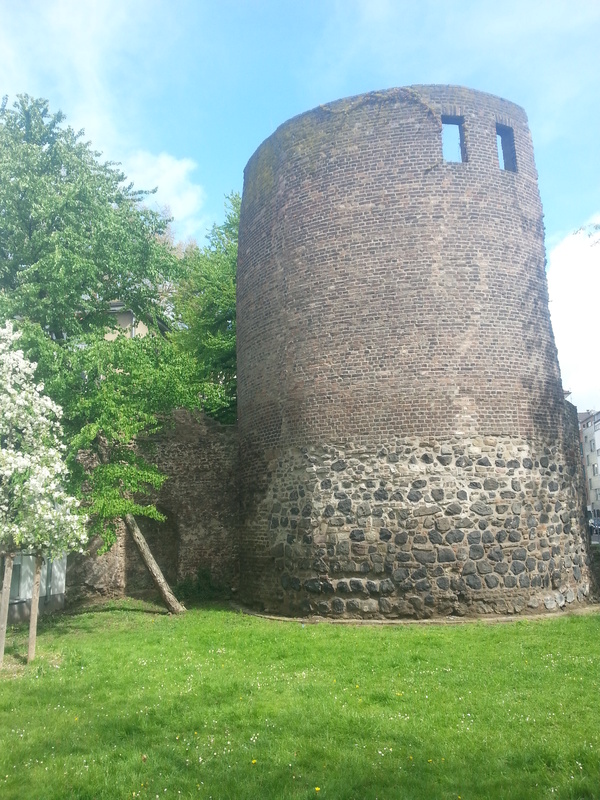 The CTB is the penultimate tourist guide to the ancient city of Colonia Claudia Ara Agrippinensium, or CCAA, or simply Colonia, the ancient Roman Empire regional capital city upon which grew today's city of Cologne. 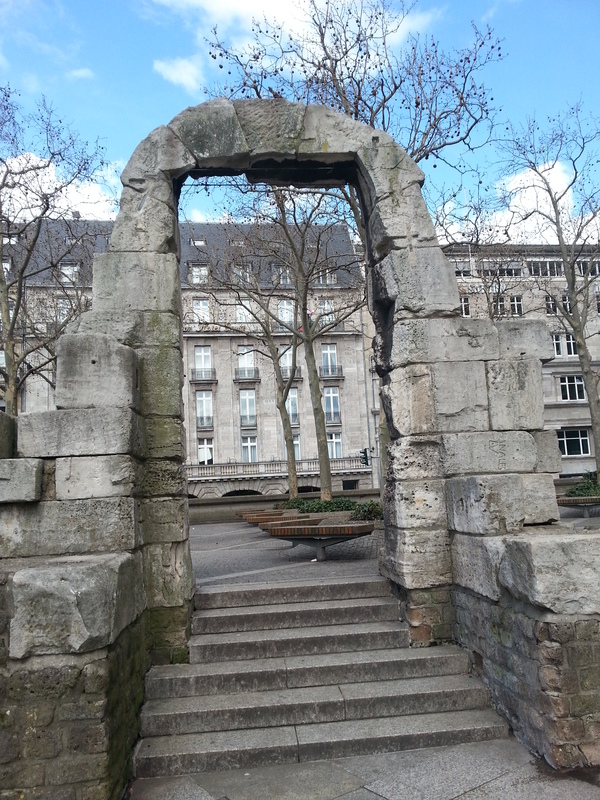 Use this guidebook to find the remains of Colonia's streets, buildings, cemeteries, its aqueduct, and gravesites of its citizens from 1500 to 2000 years ago. 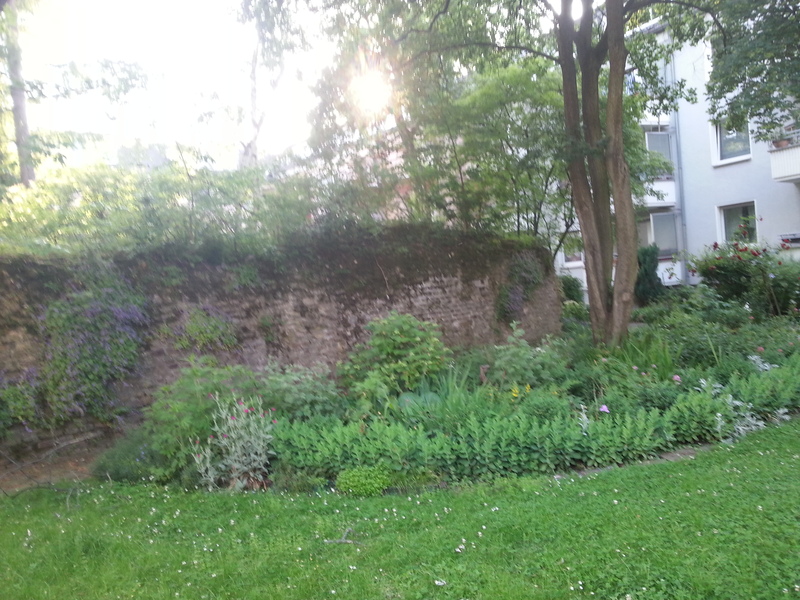 See Roman mosaic flooring still intact, the remains of its largest government building, the Praetorium, and its late era Fortress Deutz (Divitia). Trace the path of its city water supply, the longest aqueduct in the Empire, seeing all its necessary parts. All with precise walking directions and detailed maps, and most sites illustrated in the book so you know what to look for! This book is the most modern book on the topic, and designed specifically for tourists and those persons who want to actually go to and see and touch these relics of an earlier time. Every site and pathway has been visited and photographed by the author so you can be sure you have found the items and sites, and know the basic context of what you are seeing. Over 50 locations have been visited and discussed. 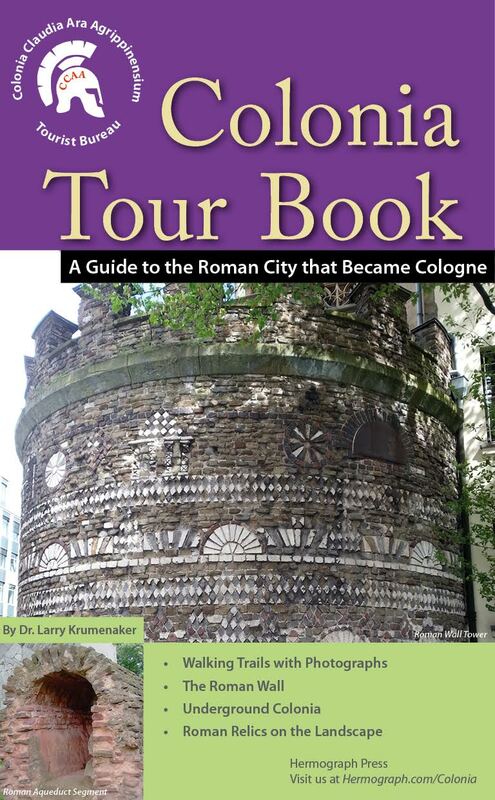 Contains four walking trails, two streetcar/tram+walking trails, an introduction to the history and geographic layout of the Roman city, a list of must-see highlights, museum and site locations, six trail maps, hundreds of photographs, extra sites off the six trails, checklists for keeping track of sights seen (and 'usable' for Colonia 'visas and citizenship,') and advice for tourists. An open Colonia Tour Book. Roman Settling Tank for water control, with aqueduct segment in the background. 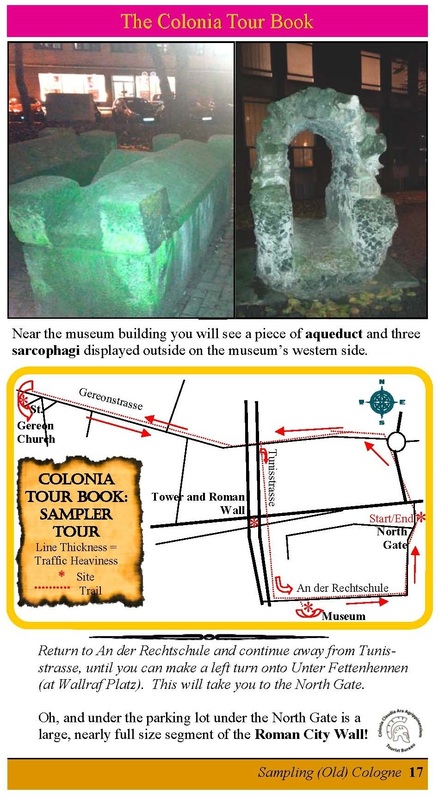 Sample page showing a Roman sarcophagus, aqueduct segment, trail map, text and directions. This will be eagerly sought. Having read the author's previous guides, this will be one we can not afford to miss. October 2016, Ian Dewar, Ninth Legion on Facebook, Editor, 290 Foundation Recommended Reading Newsletter. REVIEWERS! If you are a travel, German history, or Roman History journalist and want a copy for a book review, email books@hermograph.com, with some links to past articles and we will arrange to send you either a low-res PDF version of the book or a physical copy when it is available (or German copy when THAT is available). US Orders for one book--Online Here Using Paypal or Your Credit Card for US sales. Choose your purchase below. Price contains S/H and applicable sales tax. Hit Hermie and his book below, and enter your name, address, primary email address and credit card information!